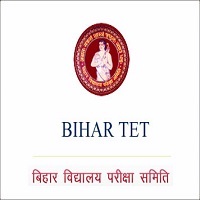 Bihar TET: Bihar Teacher Eligibility Test known as TET is an Indian entrance examination for teachers. The test is mandatory for getting teaching jobs in government schools from Class 1 to Class 8. Paper 1 is meant for teachers opting for Class 1 to Class 5 and Paper 2 for Class 6 to Class 8. It is conducted by both Central government and State governments in India. Most states conduct their own TET. The test is conducted in order fulfill and achieve the goals of the Right of Children to Free and Compulsory Education Act. Candidates must be passed 10+2 from Bihar Madrasa Board or equivalent in 12th candidates must be passed in Urdu Bengala subject. Only Bihar State candidates with minimum 50% marks molavi or equivalent or intermediate or equivalent in 50% marks in urdu Bengala. Candidates must be passed 50% marks with Or Candidates must be passed Urdu Bengala Subject with 50% marks. Mode Of Application: Interested Candidates may pay their application fee through the state bank of India through Challan. How To Apply : Interested eligible and desirous candidates may apply through the website of www.biharboard.ac.in.